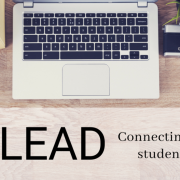 Quill and Scroll editor’s note: Taylor Blatchford is sharing with Quill and Scroll the first edition of her e-newsletter for student journalists — The Lead — in both college and high school. We encourage all our members and their advisers to subscribe to Taylor’s column. We also encourage you to subscribe to Quill and Scroll’s “The Weekly Scroll,” which will help you learn about the world around you and how to turn news items into story ideas for your staff. Just click on “Subscribe” on the upper left of this page and follow directions. The very first issue — so exciting! If you signed up, you’ve probably figured out that this is The Lead, a newsletter for student journalists in college and high school. It’ll arrive in your inbox every Tuesday. If you’re reading this but haven’t signed up, you can do that here. I’m hoping this newsletter will help start discussions on the unique challenges student journalists face as well as giving them a place to connect to help each other find solutions. I’m Taylor Blatchford, and I’m really excited to get started. This is a work in progress; please email me at [email protected] with any feedback and suggestions. And if you know someone who might be interested, please pass it on! Here we go. Forget “work-life balance” — for student journalists, it’s even more complicated. Building a schedule means managing school, student journalism, part-time or full-time work, internships, extracurriculars and social time. When I started planning this newsletter, I knew this was one of the first topics I wanted to address. I gathered these tips for a Poynter story this summer and wanted to share them again. As the new school year picks up, here’s some advice from former and current students. How do you balance school, journalism and everything else? Reply and let me know. Be up front with teachers and professors about your involvement. They’ll be more understanding if they know your schedule and responsibilities outside academics. Hannah Wise is the engagement editor at the Dallas Morning News and a full-time graduate student at the University of North Texas. “I’m up front with my professors that I’m working (during undergrad I’d say I worked at the paper) and I often ask for the syllabi early so I can better structure my semester plans and start reading in advance,” she said. Block out time on your schedule to focus on academics. When Dana Branham was the editor-in-chief of the Oklahoma Daily, she scheduled half-days or whole days off for herself and the other editors. “It was really comforting to know I could spend my Thursday mornings every week catching up on schoolwork and knowing my friends/coworkers had my back,” she said. Take time away from technology, too. Isabella Cueto, a reporter for The State in Columbia, South Carolina, suggests turning off iMessage on your laptop to focus on learning during classes. “That way, I was all-in in the classroom and could put out the fires later without being distracted during my learning time,” she said. University of Missouri graduate student Sarah Sabatke said she doesn’t check her email after 7 p.m. and takes a break from the news at home. “For me, that mental break was just as important in preventing burnout as was leaving the newsroom at the end of the day,” she said. I use the Work Mode extension on Google Chrome to block all social media when I have to buckle down and write (or when I need a mental detox). You can customize the list of blocked sites, and when you try to open any of them, the extension immediately closes your Chrome tab. It’s easy to turn the extension on or off, but it keeps me from reflexively opening Twitter when I want to procrastinate. The road to diverse newsrooms starts with student media, Amy O’Kruk argues in a commentary in the Globe and Mail. “Being one of only a few women in my role made me think about other kinds of diversity at my paper — whether that had to do with race, gender identity, sexual orientation, disability and so on,” she writes. Do a news audit to examine where you get your information. Figure out what you’d like to add, subtract or change. After trying your new “diet” for a week, reflect on what worked and how it changed the information you consumed. High school students, apply to be a part of MediaWise, a teen fact-checking network teaching students to be smarter consumers of online information. Fill out this survey by Sept. 19. The New York Times Student Journalism Institute is an all-expenses-paid two-week workshop for students who are members of the National Association of Hispanic Journalists or the National Association of Black Journalists or attend a HBCU. Apply by Nov. 15. Texas students, help advocate for the New Voices movement to protect student press freedom. ACP’s National College Media Convention is Oct. 25-28 in Louisville. JEA’s National High School Journalism Convention is Nov. 1-4 in Chicago. There are a lot of people to thank for helping get this idea off the ground, from the initial brainstorming sessions to providing feedback on logos and multiple drafts. Virtual hugs go out to Marlee Baldridge, Kristen Hare, Ren LaForme, Daniel Funke, Lucia Geng and Katie Akin.